An update on last year's post on NFL home underdogs. 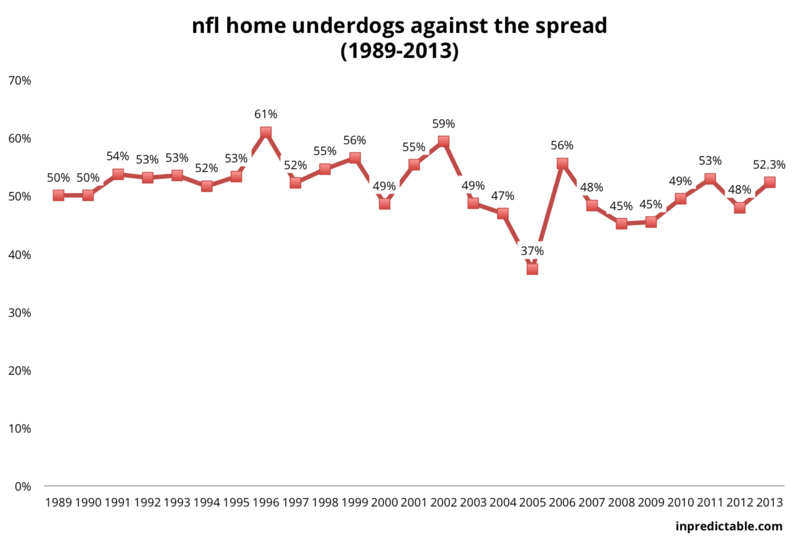 From 1989 to 2003, NFL home underdogs went 53.5% against the spread. But for the next nine years (2004-2012), home dogs are just 47.7% against the spread.